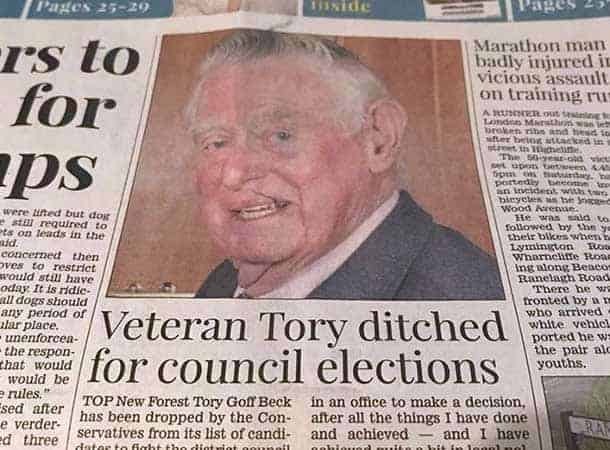 It is not for me to intrude on the latest fall out in the New Forest Conservative party. The thing I do find a bit hard to swallow is the presumption that “failing to get selected” is the thing that ends his political career. I would respectfully remind all Conservatives that there is a thing called an election on May 2nd. It might come as a bit of a shock to many of the Tory candidates but, this time around, the voters may well have decided that they have had enough of them both nationally and locally. There are a growing number of people determined to see them kicked out of office. This will give them more time to squabble amongst themselves.